I love this idea Michelle!! It's really like that yin/yang concept that I totally love!! So cute! I love how you made this outfit so girly with that top! Nice outfit! I love this bf jeans! Creative way to style those jeans!! You look so gorgeous! Your mini photographer is adorable! 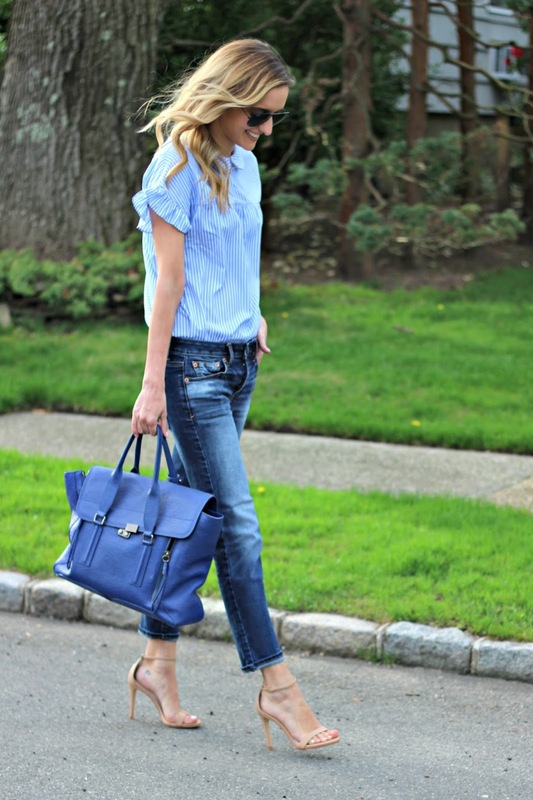 Love the boyfriend jeans with this chic blouse. I love this look! That top is super cute. You have definitely girl-ified the boyfriend jeans! I'm totally loving this entire outfit! The top is super cute! Plus how cute is that little guy? !